We all have a right to a trial by jury and to face our accuser. Unfortunately, there is no law that bans people from making errors. Mistakes happen and judges and juries are not immune. 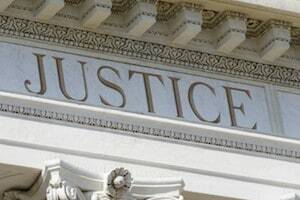 If you feel that justice was not served in your case, you could benefit from discussing your options with an experienced state and federal appeals lawyer. The Law Office of Jim Davis has extensive experience and a proven record of success at the appellate level. We have pursued appeals in both state and federal appellate courts. We are prepared to take your case the distance, as attorney Jim Davis is qualified to appear before the United States Supreme Court. Throughout the appeals process, you can rely on our experienced attorneys to pursue your rights. To arrange a case evaluation, call us at (228) 864-1588 or toll free at (877) 576-7279. Depending on the specifics of your case, an appeal could take several years. Regardless of how long the process takes, you can rely on our experienced attorneys to handle everything, including procuring the transcript and filing briefs, while keeping you fully informed of the developments in your case. You have been through enough; you can count on us to take the stress out of your appeal. If securing favorable results through the appellate process was easy, everyone would do it. It takes a seasoned lawyer to identify the needs of a client and develop a successful appeals strategy. Jim Davis has argued appeals cases in front of the Mississippi Court of Appeals, Mississippi Supreme Court and the Fifth Circuit Court of Appeals. To discuss your appeal or expungement options with a dedicated lawyer, contact us today for a case evaluation.